Many people are moving to London from abroad every year. In fact, according to the Office of National Statistics, London population could reach 9.8 million by 2025. Everyone knows that London is a great place to live and that London life can be exciting. Similar to moving to other big cities like New York, Paris, Berlin or Singapore, moving to London for the first time can be a big challenge. This blog post will teach you everything you need to know before moving to London. Chapter 7: Make New Friends & Start Living! You should know that London’s different areas are categorized into zones. So, what are London zones? London is divided into 9 zones that begin from the city’s historic center. 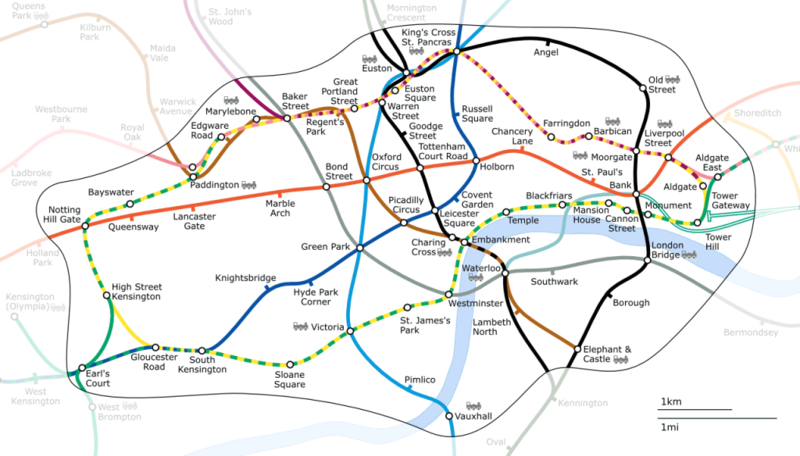 These 9 zones are essentially the way the London Underground Map (or the Tube Map) is split, with the purpose of paying more as you travel further on the system—but, more on that later. As you can imagine, living in Central London has its benefits, but of course, the choice of where to live should be made based on your needs and wants. In Central London, you can find things like Kensington Palace, Victoria and Albert Museum or popular areas like Piccadilly Circus. And, the further you go into zones, the further you are from Central London. There is no such thing as the best place to live in London, as there are many different areas and many exciting things to do as a Londoner. If you are moving to London for the first time, all these might seem overwhelming—but trust me, it’s not. You need to give yourself some time, and since the United Kingdom is a very friendly country and British people are very warm with people from abroad, you will do fine. Moving to England will be the best choice you’ve ever made. Now, let’s find you a house! As you probably know, London is one of the most expensive cities to live right now. According to an analysis of 209 cities, London’s cost of living has increased significantly over the past few years, making London the 19th most expensive city to live. Londoners know that already, but people from abroad (or at least outside Europe), it’s just a matter of finding out yourself. As I mentioned earlier, in a big city like London, there are different areas for all tastes. Thus, the cost of living is adjusted based on your preferences and your budget. However, these are just averages. Just enter terms like “place to live in london,” and you will get results of pages and groups that you could join to look for a house. Conduct a Google search with terms like “best places to live in london for families” (if you have a family!) and browse to the top of results. You can ask a question on Quora and get answers from people who were in the same situation as you are and thus could help by answering your questions. 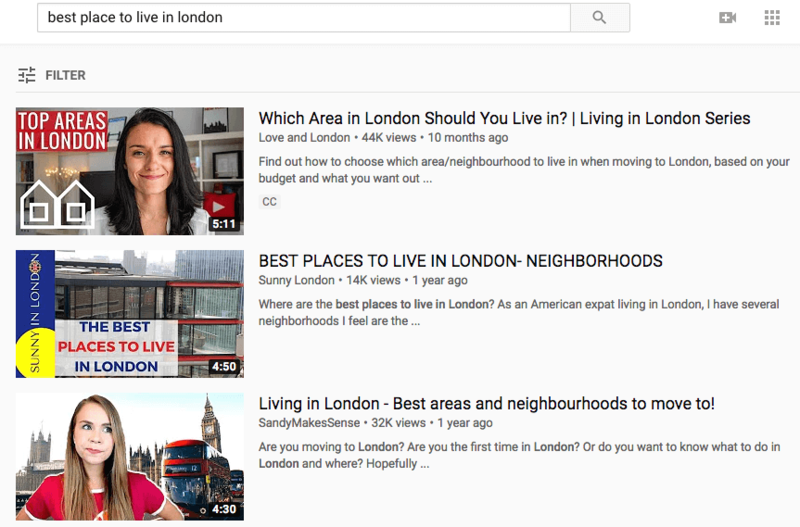 Many YouTube channels are dedicated to life in London. You can visit some of them and try to find answers in your questions. You can even ask a question and let the YouTube community help you. Do your research before taking a decision. Also, don’t forget that there are many options for finding a house in London—at least for the very beginning—like flatshare, finding a spare room inside a house or even Airbnb. The same applies to different London areas. London is a big city, and you want to find a house that is near to your work and daily activities. So, consider that when doing your research. On the other hand, if you are ready to buy a property, I suggest that you use a service like Portico. Use it to find yours, and don’t hesitate to contact their awesome staff if you need more help. Note: Portico members can have a 20% off with code PORTICO20, for their next move. Now, let’s find you a moving company! Now that you’ve found a house, you have to find a reliable moving company that will help you move your stuff without having to pay a fortune. In a big city like London, there are many home moving companies. This means that you have many opportunities as to the moving company that you will choose. The problem with most of them? Finding an affordable moving company is not easy. And, especially if you are moving to London for the very first time, it is easy to make the wrong choice. So, what are some things that you have to pay attention to when you want to find a top moving company for your stuff? 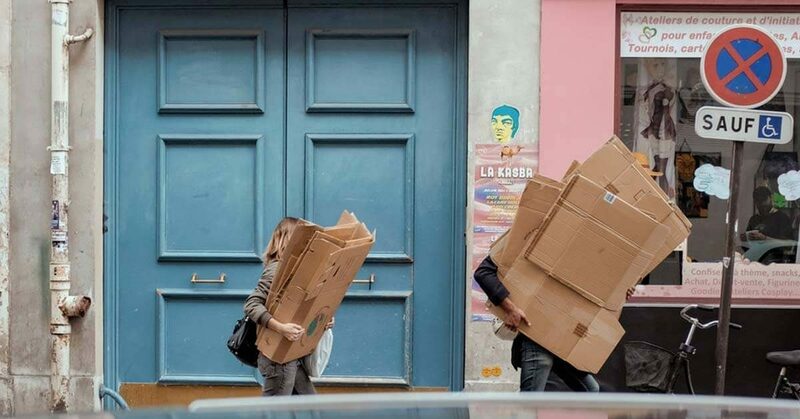 You have to ask how this house moving company is going to charge you— what is their pricing. There are several different ways when it comes to charging, but one of the most common ones is by the hour. A moving company may offer a lower price per hour and take way more hours to complete the removal process. Thus, you have to get a clear answer as to how many hours will it take. You see, most moving services give you a quote that doesn’t include standard liability insurance. And, when you ask for it, they tell you that you have to pay. If you can’t find such a piece of information to the website, you should ask when reaching out to the company, asking for a price quote. When you are moving to London from abroad, you want things to happen quickly and without any hassle on your side. So, you may want your move to happen on an unusual day and time. You have to be very clear about what the work schedule of the moving company you are going to hire is so that you don’t find yourself in a difficult situation. Now, you have all the information necessary to choose the best moving service. This is one of the most important chapters of this article. I’ll break it down, based on the documents you’ll need when moving to London and England. This is the first document you’ll need when moving to London. Want to live permanently in the UK. You meet additional eligibility requirements. Provide a criminal record certificate from the country you’ve lived in for the last twelve months (under certain circumstances). Additional requirements may apply to those who have family members in England and want to apply for permanent residence. Keep in mind that getting a visa for the first time is not easy and it may take some time. Thus, I highly recommend that you apply for a visa months before you move to London. 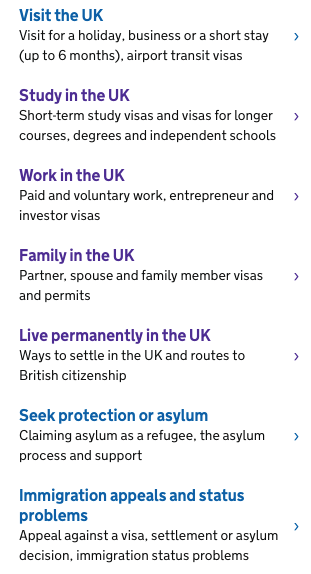 You have to be sure that you are eligible to stay in the United Kingdom. Last but certainly not least, you may have to visit London for only a couple of months. In this case, what you need is a Travel Visa (or Travel Card). 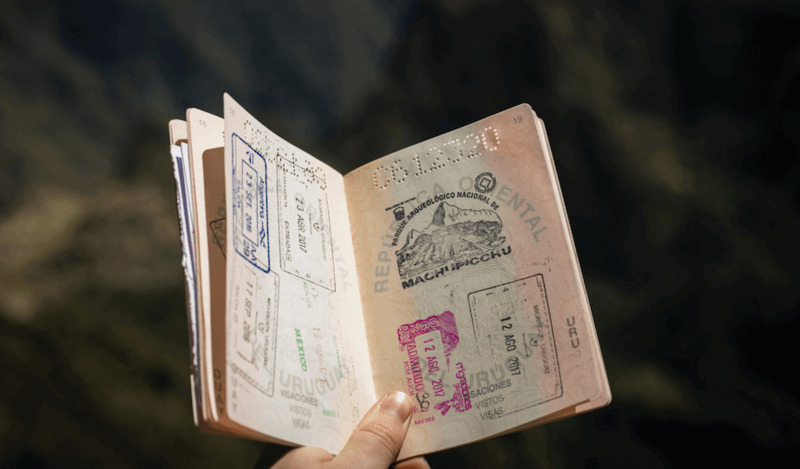 The Travel Visa is—in most occasions—valid up to six months. Next, you have to open a bank account. Because you need an account to receive your salary and pay for several products and services. Opening a UK bank account for non-British citizens is not easy. However, many options are not so restricting and will help you open an account quickly and easily. What is the National Health System? The NHS is funded by taxes and is something that you need to know before moving to London. 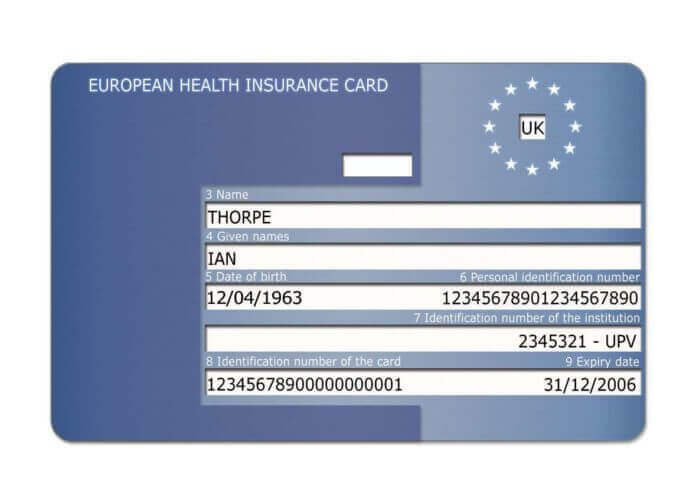 Thus, regardless if you are Australian, American, European, Russian or Indian, you have to be aware of the NHS and apply for an EHIC before your removal. 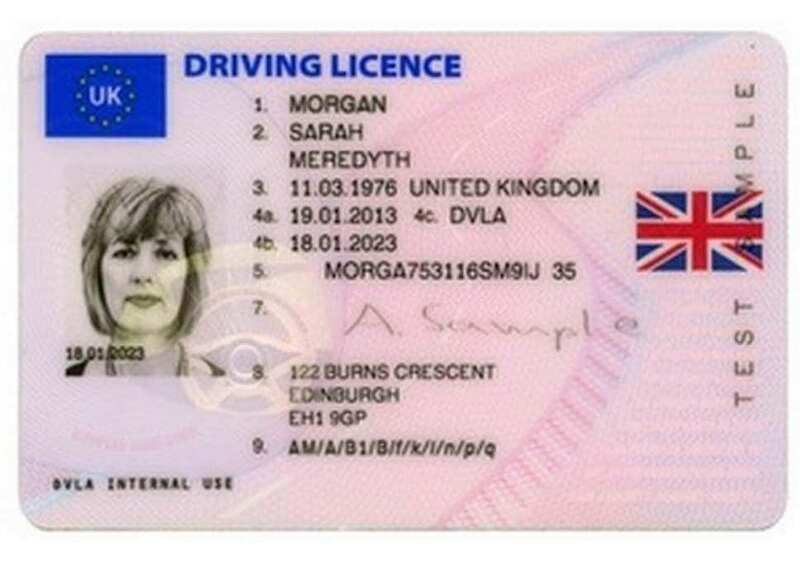 If you are driving in Great Britain on a non-GB licence, you have to know what rules apply. Last one comes the Council Tax. So, what is the Council Tax? It is essential that you know what your tax obligations are, before moving to London. What I want you to know is that you have to be patient and prepare all the necessary documents, before you move to London. All in all, the British government is very friendly and will help you with every step of the process. I mentioned earlier that London is divided into zones. And, that you pay more as you travel further on the system. Now, despite what many people say, London has an excellent public transport system. Zones 1 and 2 is what we call Central London. 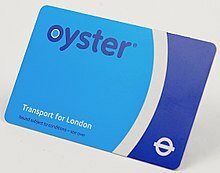 To use London’s public transport system, you need an Oyster Card. 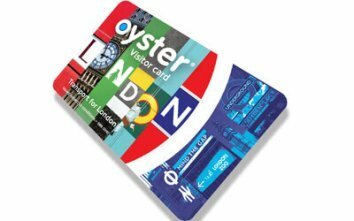 Think of the Oyster Card as an electronic ticket (in the form of a card) that allows you to move around the Greater London Area. While the second one is for Londoners—for people who are living in London. These two cards have something in common. The Oyster Card works with a pay-as-you-go system. Which means that the more you move around London, the more you pay. And, you can always top up your Oyster Card with more money at one of the machines in the stations. Something really important is that both cards have a daily cap, which means that once you reach a specific credit limit on your rides, the rest of the rides will be free. In the beginning, you can always consider other means of transport such as a taxi or Uber. 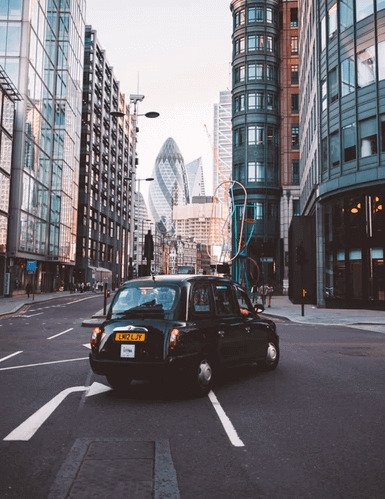 When you are moving around with your own vehicle—or if you are thinking to buy one—you have to know everything about the Congestion Charge. What I suggest is that you use a London public transport map or download a London public transport app before you move to London. This way, you won’t get lost, no matter the zone you are in. Stay with me, because in the next chapter I’ll help you find a job in London. 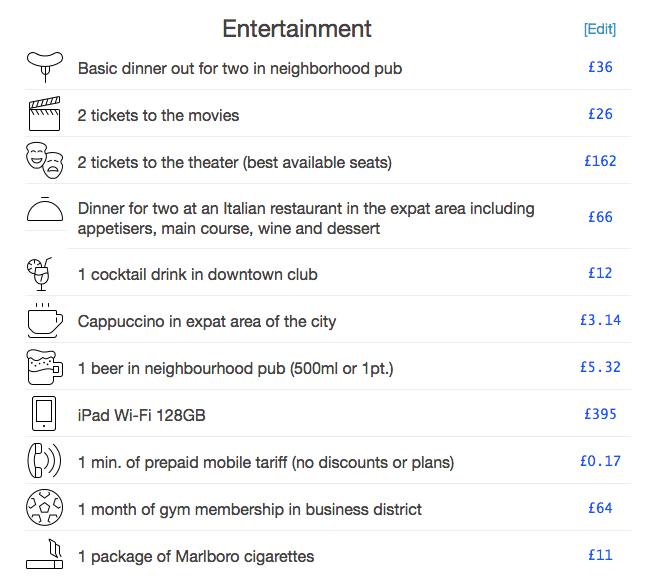 Is it expensive to live in London? Yes. The cost of living in London is high. How much money do I need to move to London? Keep in mind that in a big city like London, there are many job opportunities. There are many things you can do to make your life there exciting. But, when it comes to finding a job in London, you have to know where to look for. There are many websites you can use to find a job in London. You can use it to find companies that are hiring, connect with other job-seekers and employers. Monster will return job results based on your search query and preferred location. Gumtree is a British online community and marketplace, where you can post or find a job based on your skills and preferred location. 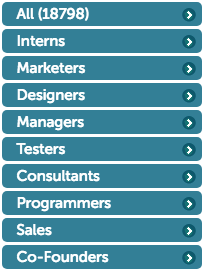 And, when you click on one of these categories, you can browse and apply for jobs posted on Gumtree. And, Reed is indeed one of the best websites to find a job in London online. Make sure to include it in your research. This is another excellent website for those searching for a job in London. It has a very friendly search engine that allows you to browse several jobs, based on your preferences, location or postcode. This one is for those interested in a career in tech. Angel.co is a leading website that lists jobs from more than 26,376 established and startup tech companies. You speak directly to the hiring manager. It’s great for a young professional who wants to start a career in a London tech company. So, make sure to visit it before you reach a decision. This is the last I have for you. Similarly to other job finding websites, you can use jobsite to browse and discover jobs that fit your skills. So, if you are serious about finding a job in London, make sure to take a look. And, I have to admit that this is the one we are using here at bySTORED. Work in Startups is ideal for young professionals who want to work in a London startup. There are many other job finding websites you can visit to find a job in London. These are just my personal choices. How to move to London and get a job? You can do it, but you need to start searching a few months before your move. I’ll be honest: it’s not easy to move to London without a job. This is why you need a job early on—long before you come here. Do your research, and you’ll be fine. Are you moving to London alone? Or maybe you are moving to London with your family? Either way, you’d want to make new friends and meet new people when moving there. People are moving to London because it’s an amazing city to live in. Because London is indeed a great city to live in. I want you to keep is that London is a big city. Not only for the United Kingdom but the rest of the world as well. And, in a big city like London, the place you are going to live is important, but not as important as the people you are going to meet and share your life with. Thus, finding the right people to hang around with is essential and will help you live a great life in London. Is moving to London a good idea? But, you have to be well-prepared and “do your homework” before you move here. The most important things to know when moving to London. Have you ever thought of moving to London? And, if yes, are you planning to move alone or with your family?